In January of 2018, recreational marijuana use and possession became legal in California. However, the laws barring driving after having consumed marijuana remain the same, and California drivers still face serious consequences if they’re found guilty of driving while under the influence of pot. 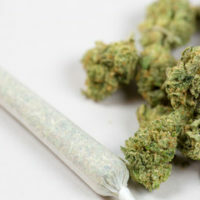 Below, learn more about how legal marijuana use can affect California drivers, and speak with a seasoned Ventura DUI defense attorney with additional questions. Marijuana sold in dispensaries may be stronger than you realize. While marijuana sold in the 1970s contained an average of 1% THC (one of marijuana’s active ingredients), the average is closer to 18% for pot sold in dispensaries. If you use edible products containing a concentrate, such as candies or baked goods, that percentage may be closer to 50-80%. Using concentrated products will result in THC being in your system for longer, which could mean that you’re higher for longer, and that you’ll test positive for THC long after you consumed the drug. Transporting marijuana incorrectly could lead to criminal charges, even if in legal quantities. Californians are legally permitted to carry up to 28.5 grams of marijuana and 8 grams of concentrates. When carrying marijuana in your car, it must be in either a sealed container or completely out of reach while you’re driving. Even blood tests for the presence of marijuana can lack precision. Whether due to variations in the strength of marijuana products or differences in body chemistry, THC doesn’t always clear the blood at the same rate. In some cases, THC remains in the system for days after use, especially among regular marijuana users. Even after the effects of marijuana intoxication have long passed, you could still test positive for THC through a blood test. If you’re facing charges of driving under the influence of drugs in California, get skilled, knowledgeable, and dedicated help fighting these charges by contacting the Ventura offices of Paul Tyler for a free consultation at 805-889-9000.